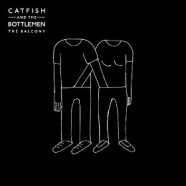 Catfish And The Bottlemen are a new British band. The four piece have spent the last six years living in a van striving to get to the top and their lead singer, Van McCann’s confidence in the band is what is helping them become a success. The opening of the album ‘Homesick’ is a sign of what to expect in the album, heavy guitars and a chorus more screamed than sang are a frequent theme in the album as heard in ‘Kathleen’, ‘Pacifier’ and ‘Fallout’. The second song on the album ‘Kathleen’ is where the album reaches its peak. McCann sings of an ex girlfriend who troubled him, but he appreciated the trouble he got. The chorus in this song is the type that would be sung by hundreds in a stadium. However, the rest of the songs on the album are not far off that peak. McCann relies on his past in most of the songs, he sings about being an IVF baby in ‘Fallout’ – ‘See I, I was a test tube baby, that’s why nobody gets me.’ McCann’s honesty in his lyrics are what connect the songs to fans of the band. The album drops the pace of the first five songs completely in ‘Hourglass’ where we hear Van strumming on an acoustic guitar, later to be joined by a piano and a slow drum beat. This is the only song on the record were we see McCann looking to the future and we see this when he sings of settling down and having children. The album then immediately picks up the pace with the remaining five songs, ‘Business’, ‘26’, ‘Rango’, ‘Sidewinder’ and ‘Tyrants’. However the album finishes on the disappointment of ‘Tyrants’. Too many guitar solos and not enough of the sing-along choruses we had in the rest of the songs. The band’s debut album is a promising one. However I am hoping for better when their second album is released later on in the year or early 2016 as Van McCann promised a ‘bomb will go off in the music industry’ in an interview with NME.